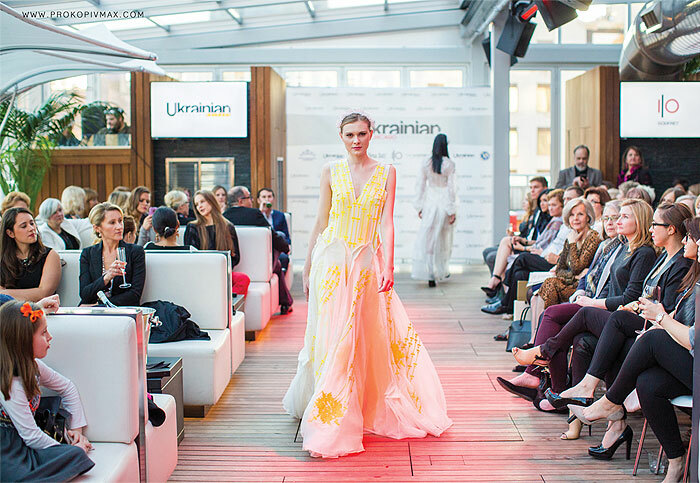 Modern fashion meshed with national heritage when the internationally acclaimed designer Olena Dats showcased her original collections at the Ukrainian Chicago Fashion Show hosted at the Godrey Hotel’s IO Urban Roofscape, voted one of the best rooftops in Chicago. Dats’ collections have previously been featured worldwide, from Paris and Dubai to Lviv and LA. 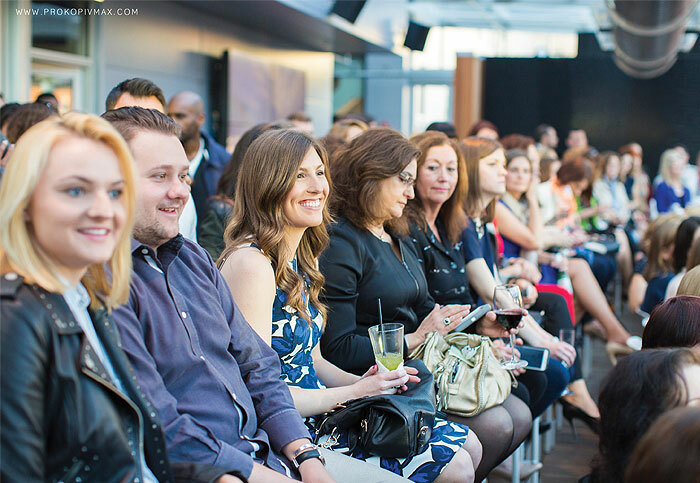 Hosted by Ukrainian Chicago Magazine, in partnership with Miss Ukrainian Diaspora and VIDIA, and supported by Kyiv Committee of Chicago Sister Cities International and Ukrainian Federation of America, the fashion show was emceed by NBC5 Chicago’s renowned reporter Natalie Martinez. The fashion show featured Dats’ spring-summer collection, as well as fall and winter. Each collection emphasized distinct characteristics. Where spring-summer was infused with color, winter and fall were stripped to bare neutrals. Each collection also featured aspects of Ukrainian heritage, like intricate embroidery. Julia Sitovska, a model in the fashion show, mentioned Dats’ raw talent for design. “Her dresses have such beautiful detail,” Sitovska said. They really embody the spirit of Ukrainian nationalism, and it is clear her influence comes from Ukrainian roots. I also just love that she uses natural fabrics and warm colors. A success overall, the proceeds from the event ticket sales were donated to provide help for families affected by the war and orphans in Ukraine. With these funds, the Miss Ukrainian Diaspora 2014, Ulana Fenyn, will continue her humanitarian missions in Ukraine. 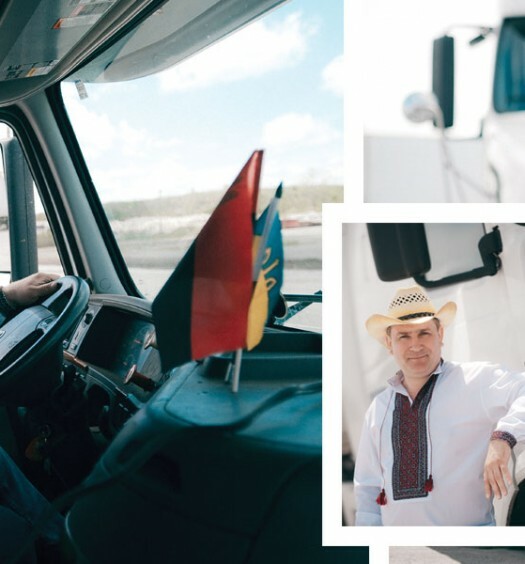 The Miss Ukrainian Diaspora organization organizes shipments of supplies to people in need, and Fenyn has even bought her own plane ticket to Ukraine.. 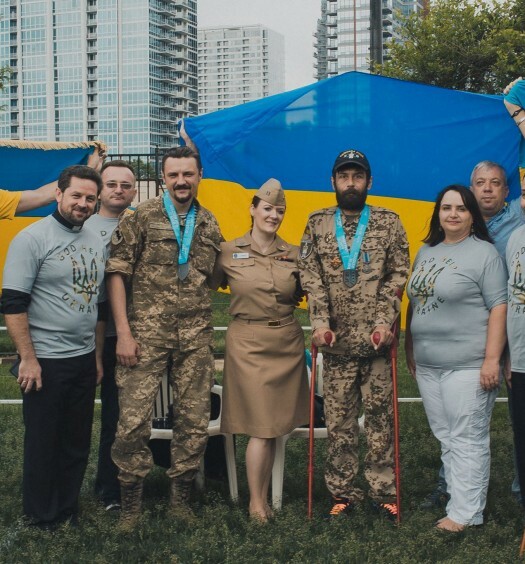 The event successfully served to unite and promote the Ukrainian community in Chicago, bringing together all generations and the Chicago community at large. “I was just floored by the audience,” Glass said. There were older people and younger people, but all were dressed so stylishly, and everyone I spoke to was so knowledgeable and sophisticated. 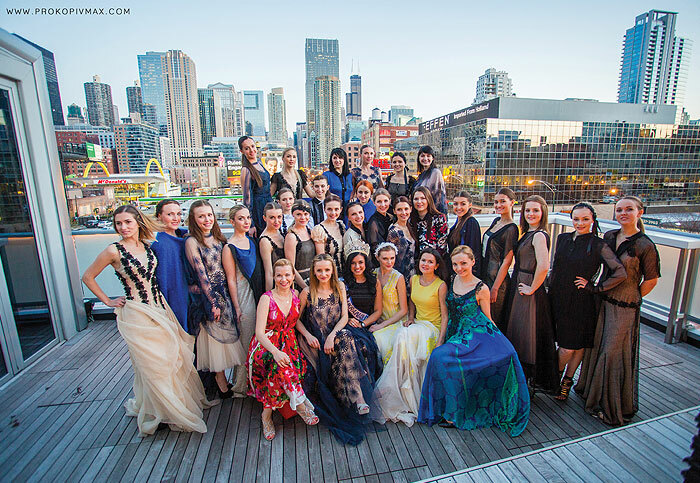 According to Glass, Chicago’s best surfaced for the show, but events like this one, subtly promoting heritage, seem to fill an important niche in the Ukrainian Diaspora. It seems that Dats’ collections in the Ukrainian Chicago Fashion Show have brought on a new twist to old style in more ways than one.